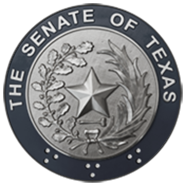 SB 1 appropriates funding for a new Human Trafficking Team at the Department of Licensing and Regulation in the agency's Inspection Division to bolster Texas' statewide effort to combat human trafficking. SB 1 continues the State's $4.3M investment in the Prescription Monitoring Program at the Board of Pharmacy. SB 1 increases appropriations by $4.4M for the State Regulatory Response rider at the Department of Insurance to ensure the agency can effectively respond to changes in the market due to any type of disaster. Statement from Senator Nelson: "Texas has a smart regulatory climate that helps grow our economy. At the same time, our regulatory agencies are carrying out their mission to ensure public safety and protect consumers."